Angelina Jolie has filed for divorce from husband Brad Pitt, citing irreconcilable differences. Jolie is seeking physical custody of their six children and asking the court to grant Pitt visitation. Already there is speculation that a tabloid-friendly, child-unfriendly custody battle may ensue over their six children. But a source close to them asserted that both sides want a cordial breakup. “Other than the fame of the people involved, this is like so many other divorces,” the source said. Jolie’s camp is also focused on the children. While Pitt and Jolie married in 2014, their relationship became the subject of speculation in 2004, when they co-starred in “Mr. & Mrs. Smith.” At the time, Pitt was married to actress Jennifer Aniston. In January 2005, Pitt and Aniston announced they were splitting and Aniston filed for divorce a few months later. In April 2005, photos surfaced of Pitt, Jolie and her adopted son Maddox in Kenya. Jolie later adopted daughter Zahara from Ethiopia and in early 2006 she announced that she and Pitt were expecting a baby. Shortly thereafter, Pitt was granted the right to legally adopt Maddox and Zahara. Their daughter Shiloh was born in May 2006 and son Pax was adopted from Vietnam in March 2007. Jolie gave birth to twins Vivienne and Knox in July 2008. The couple announced their engagement in 2012. 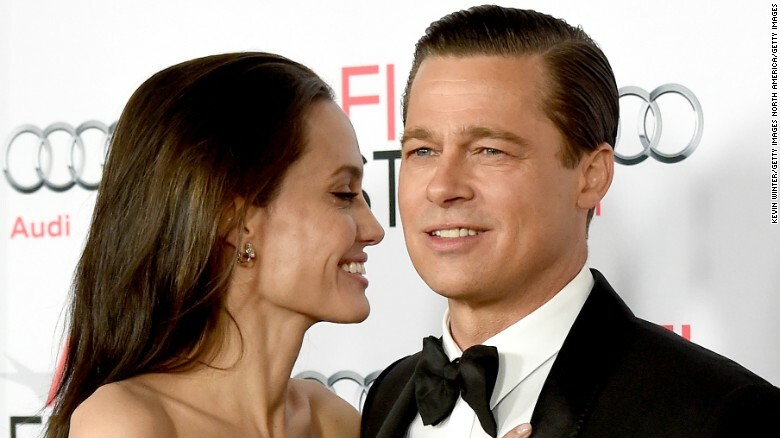 Pitt was there to support Jolie in 2013 when she underwent a preventive double mastectomy. In 2014 they were married in a small, private ceremony in a chapel at Château Miraval in the village of Correns. The following year, Jolie once again made headlines for her health when she had her ovaries and fallopian tubes removed to guard against cancer. Jolie also wrote and directed the film about a couple in a troubled marriage. Jolie said the characters’ relationship was far from hers and Pitt’s. The pair have also been partners in giving. Pitt has worked for years to help rebuild New Orleans after Hurricane Katrina. Jolie is a United Nations special envoy for refugee issues, a critical topic at the UN General Assembly meeting in New York this week.